Population explosion! 50+ new custom LEGO minfigs! A big LEGO city needs a lot of little LEGO people! Hopefully this here should help! 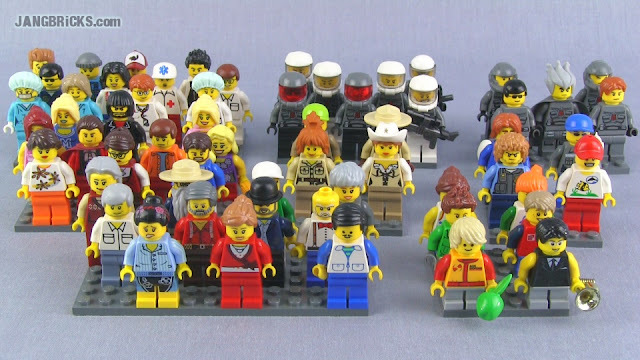 These are all little "custom" assembled minifigs, some with specific purposes & roles, some made just to put bodies on the ground and make the place seem nice & busy (some day). Video: Population explosion! 50+ new custom LEGO minfigs! *That last part was a bit weird, but I was trying to be serious.